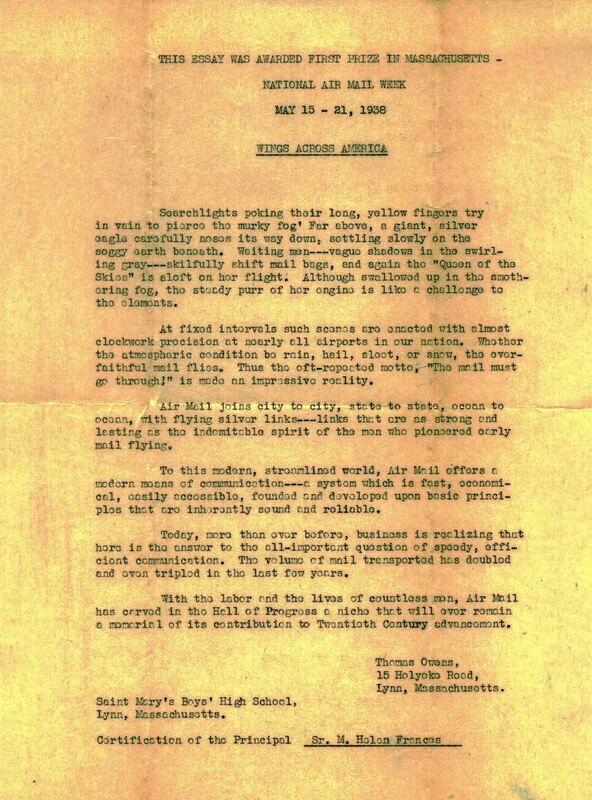 Background: In 1938 the United States was still mired in the Great Depression. 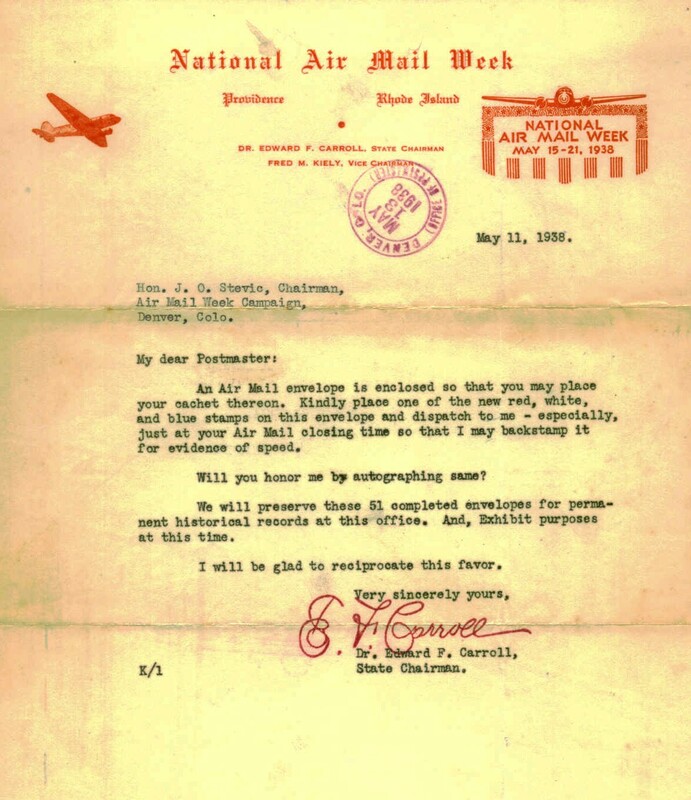 Air transport companies were developing but struggling to stay financially afloat. 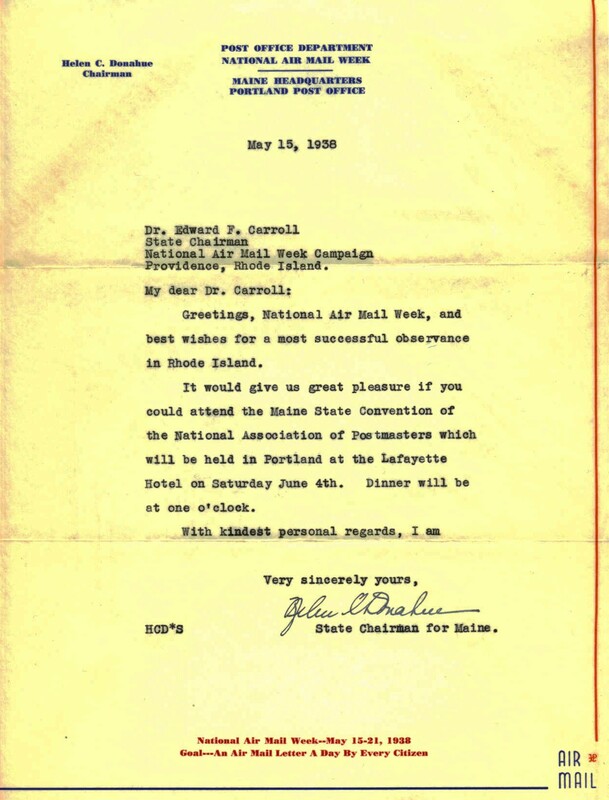 Air travel was still a novelty. 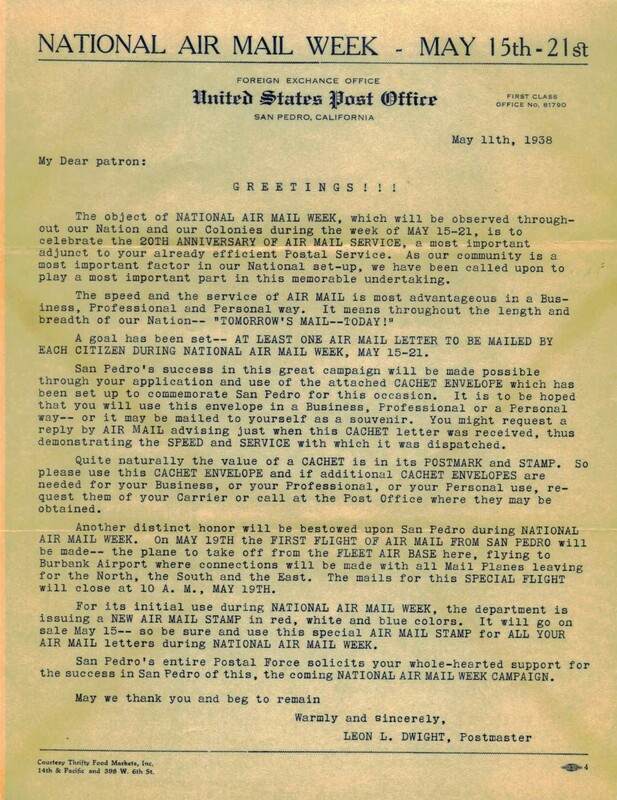 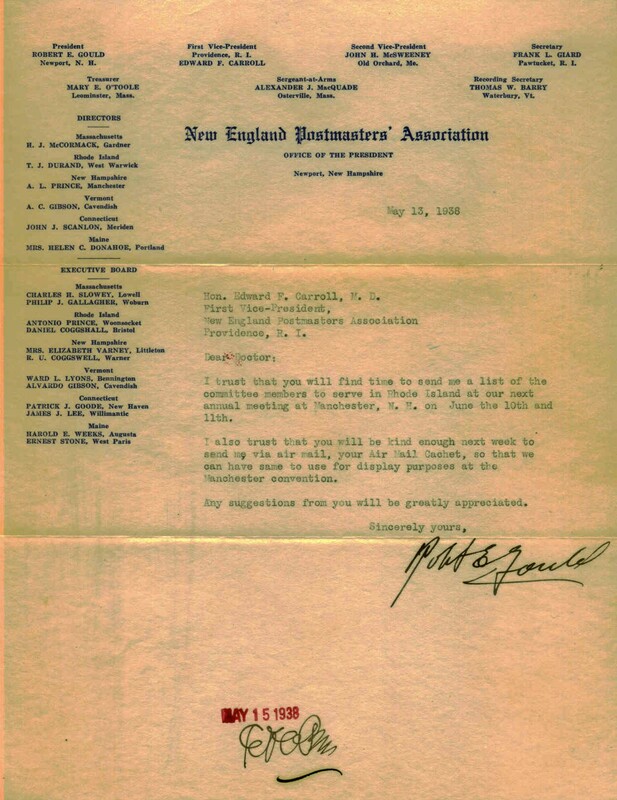 National Air Mail Week: To promote air mail service, a nation-wide public relations campaign was launched by President Franklin Delano Roosevelt and Postmaster-General James A Farley. 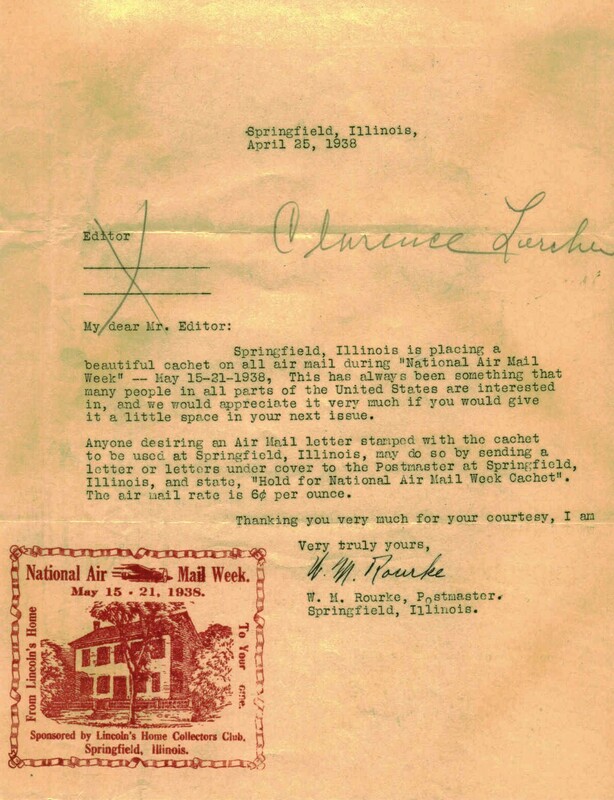 It was called National Air Mail Week. 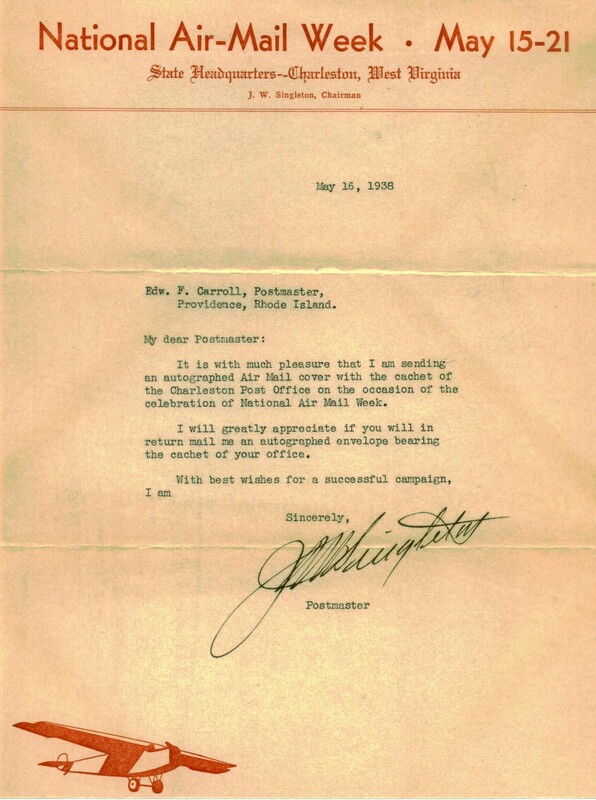 It took place during the week of May 15/21, 1938. 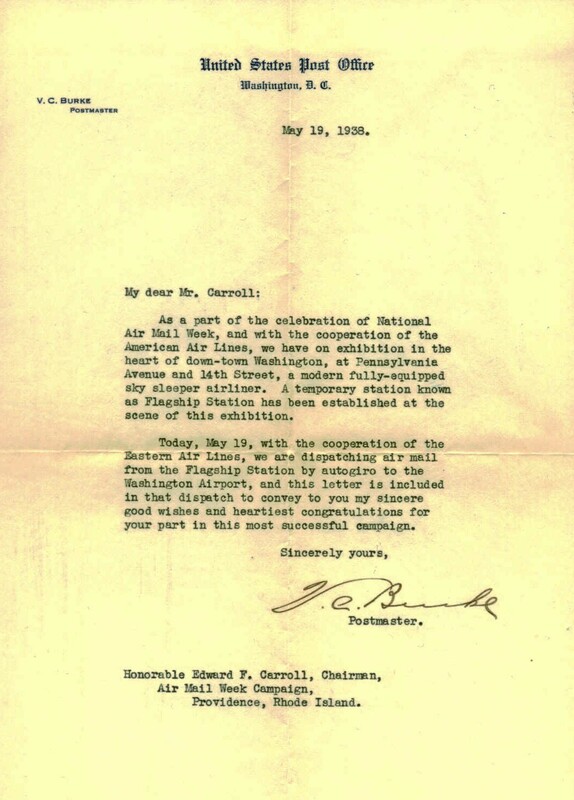 To begin this promotion, on Saturday, May 14th the US issued an air mail stamp C-23 (6 cent Eagle multi-colored airmail stamp) in Washington DC and also Dayton OH and Saint Petersburg FL. 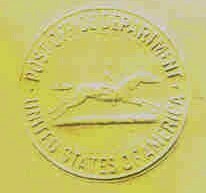 The stamp honored the twentieth anniversary of the inauguration of scheduled air mail service in the US which had its formal beginnings on May 15, 1918 with flights between New York, Philadelphia and Washington DC. 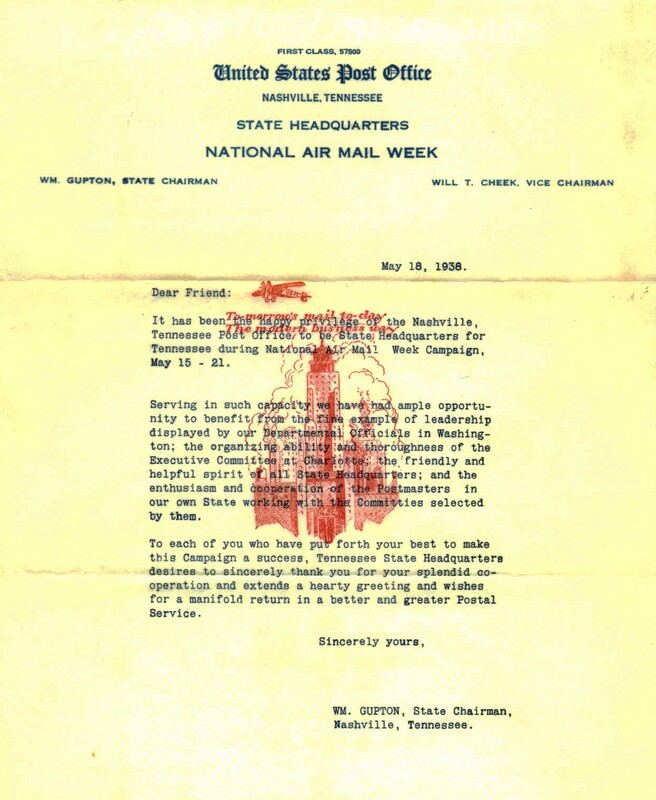 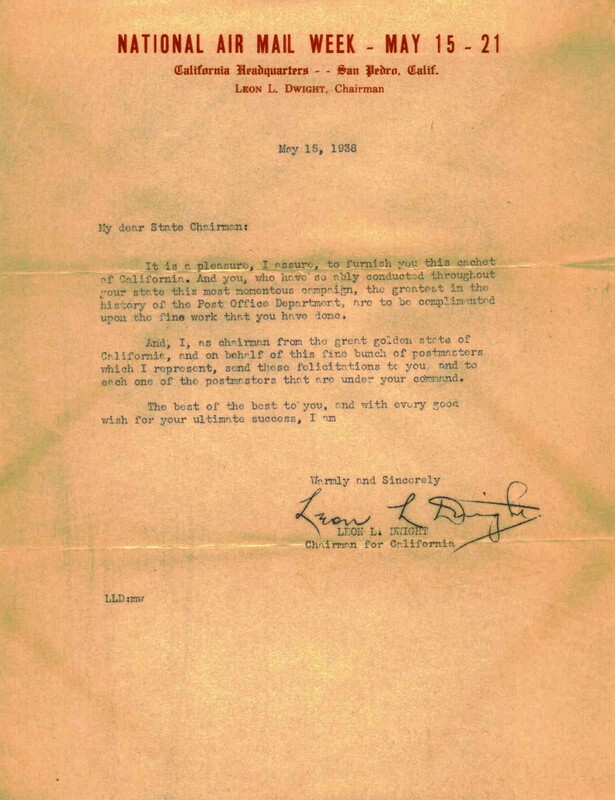 Each citizen was encouraged to mail or receive an airmail letter during the week-long celebration. 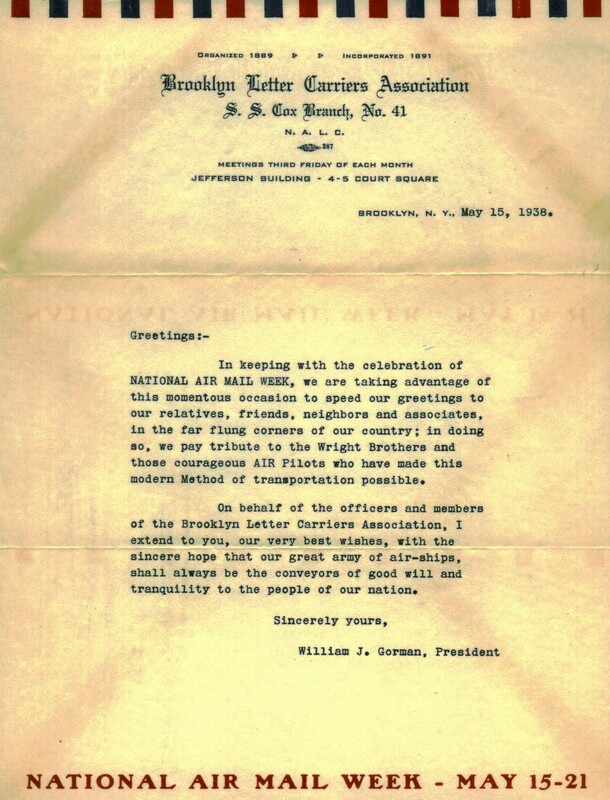 Postal employees, postal organizations, civic and municipal authorities, radio stations, newspapers and citizens cooperated to make this a successful event. 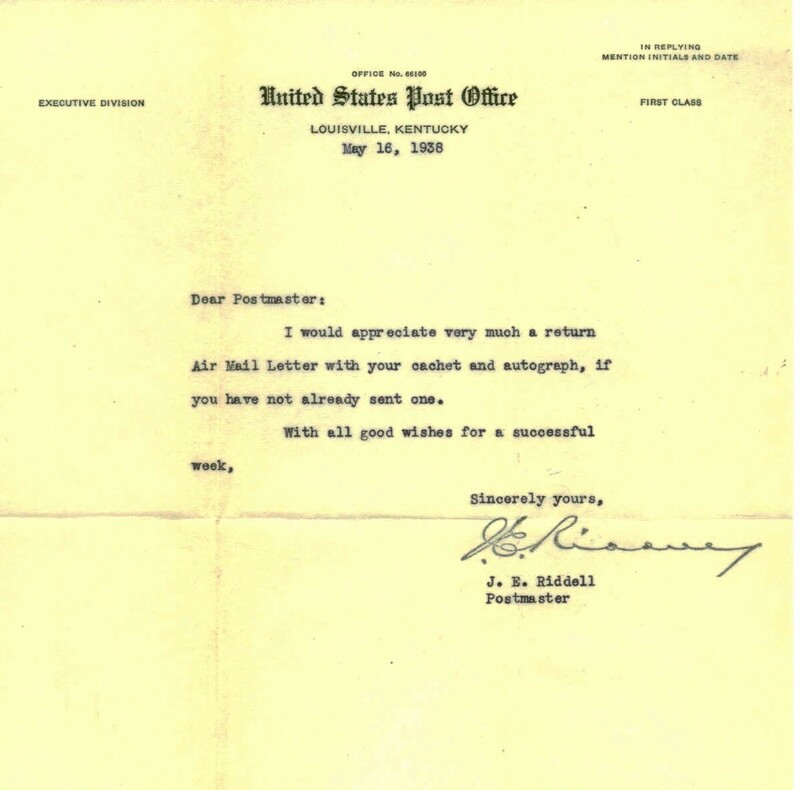 Thousands of cities across the US (48 States) and most US Territories became involved with their own local air mail activities. 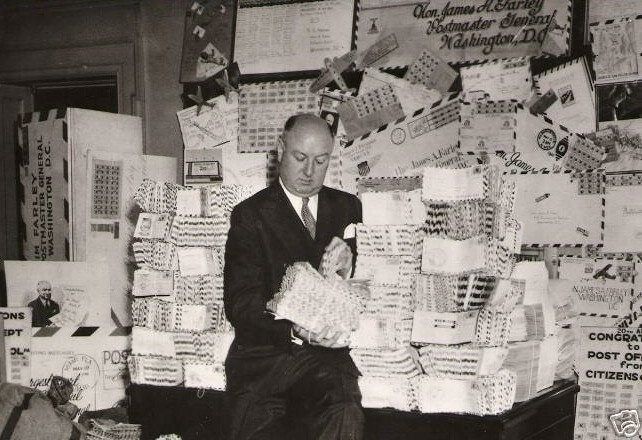 Close to 10,000 individual city cachets were prepared, giving each locality a chance to boast about what made their locality proud, special and important. 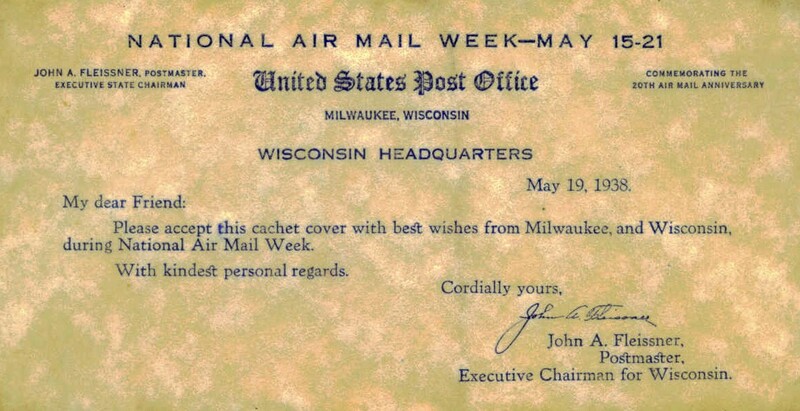 On Thursday, May 19th over 1,700 special one-day-only flights occurred carrying these specially prepared air mail covers linking location to location. 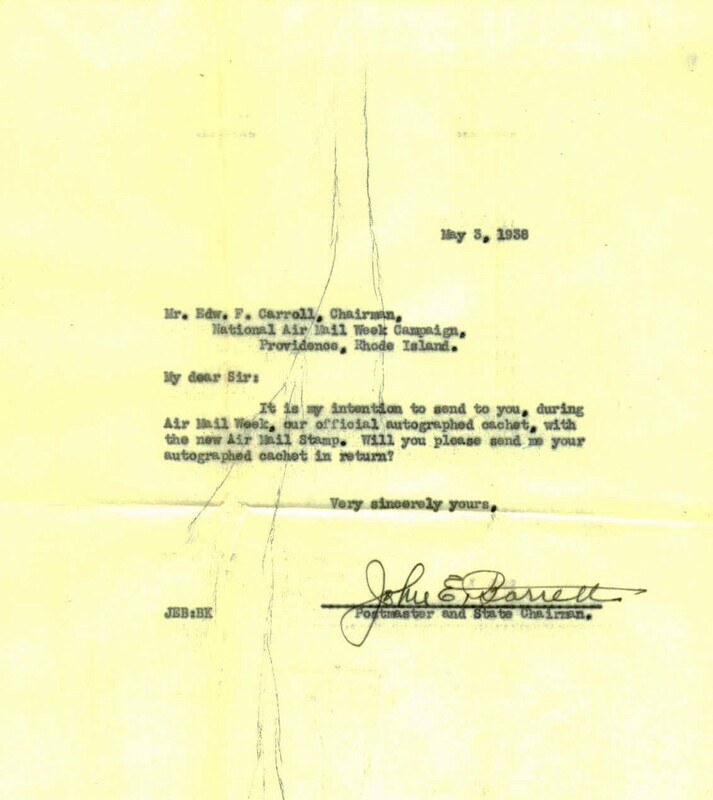 Forty-three special flights were made by women pilots. 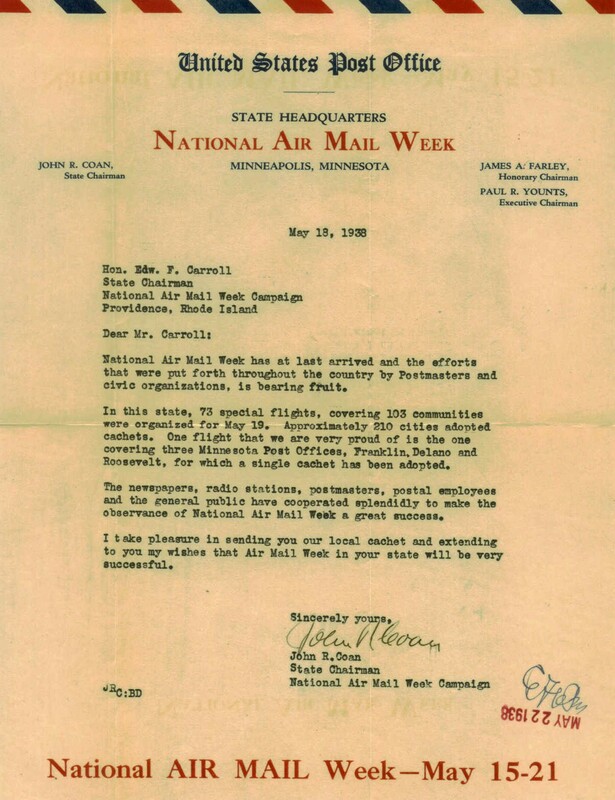 One special flight was made by the first black pilot to carry airmail. 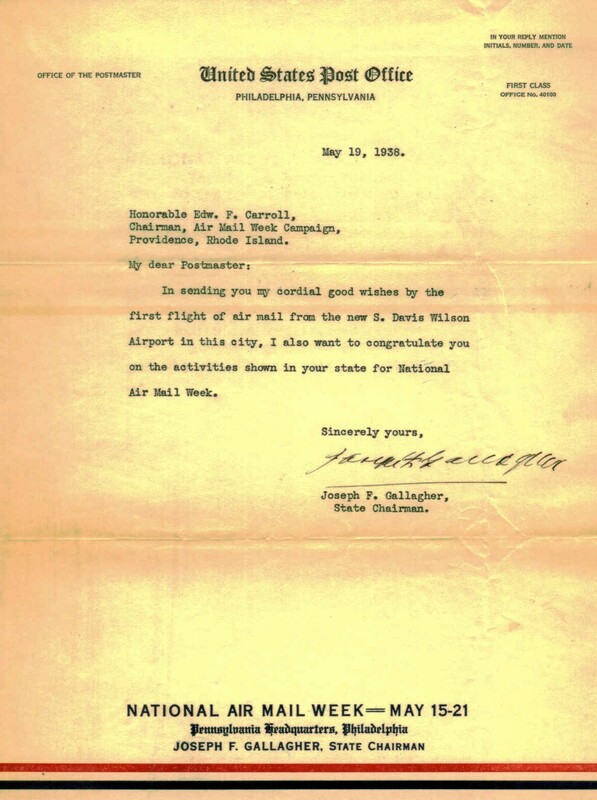 Grover C Nash flew a special one-day flight from Chicago via Mattoon IL to Charleston IL. 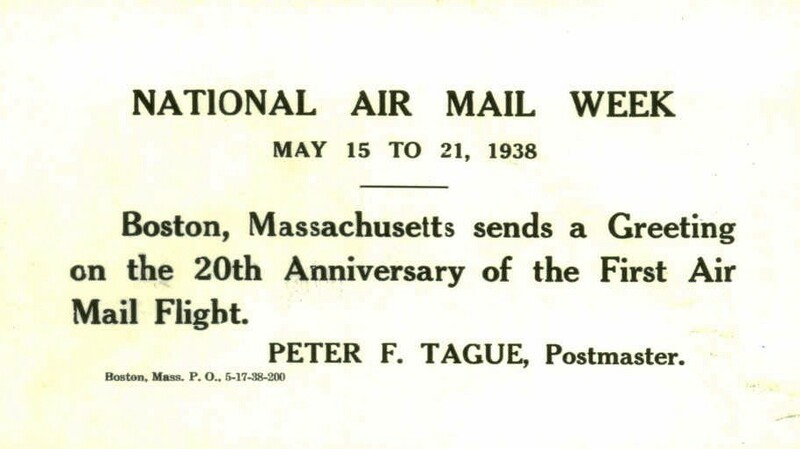 Many local airports were dedicated during the week. 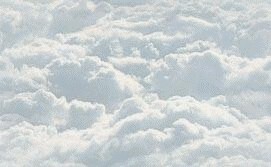 Some special flights were delayed due to weather and only one of the special flights crashed. 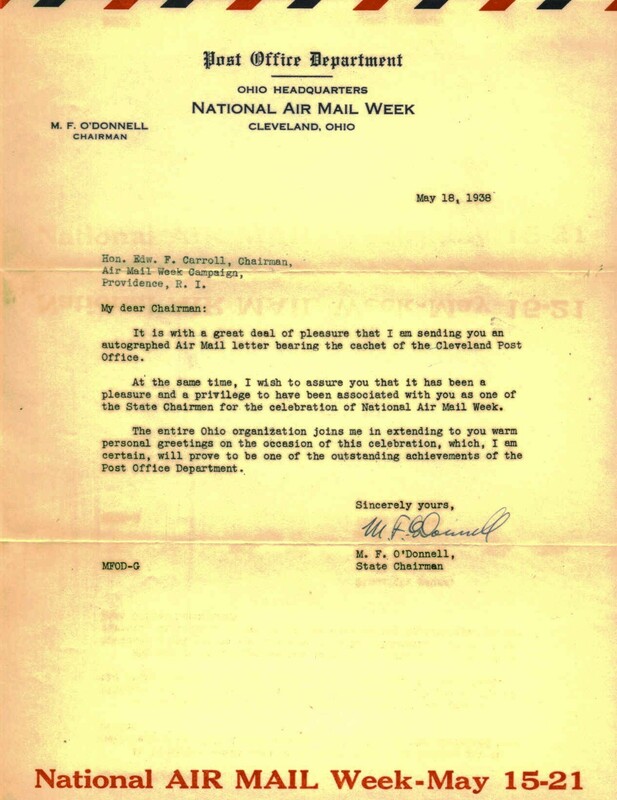 Over 16.2 million letters/covers and 9 thousand parcels were transported by air that week. 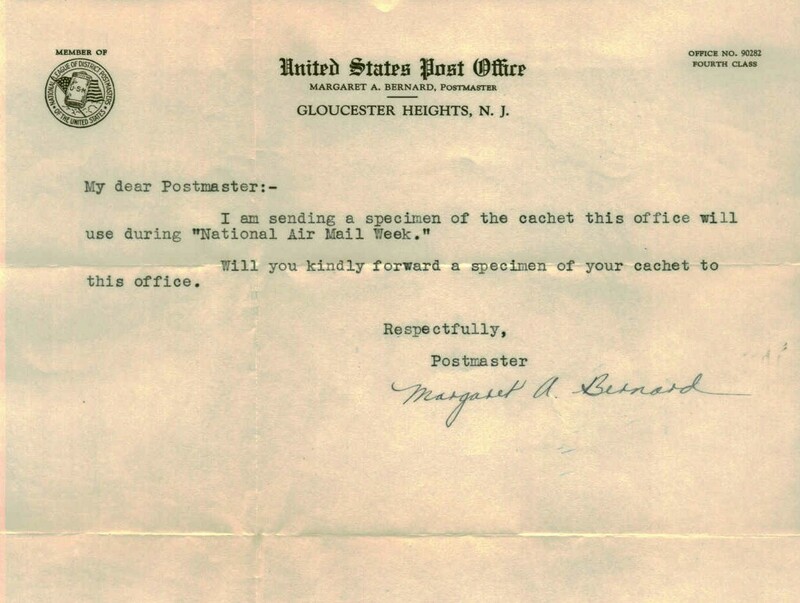 Visit the Smithsonian National Postal Museum NAMW web-site.